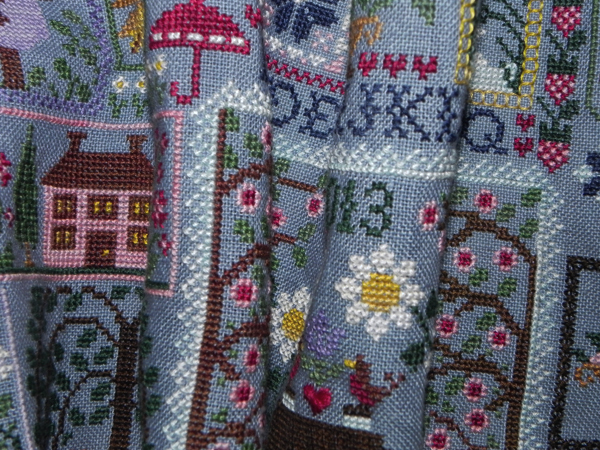 Norden Crafts: Busy week here at Norden! Busy week here at Norden! BLUE JEANS AND DAISIES has left the building! All of the shipments have left Norden Crafts, and are either on their way to your LNS or website, or they might have already received them! 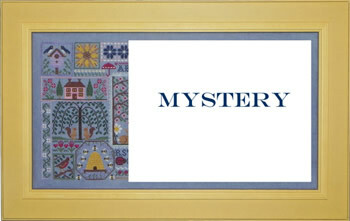 Thank you all so much for signing up for this Mystery Club! With the temperatures being sooooo cold here in Chicago, we are all excited to be thinking SPRING. If you haven't signed up yet, there is still time! 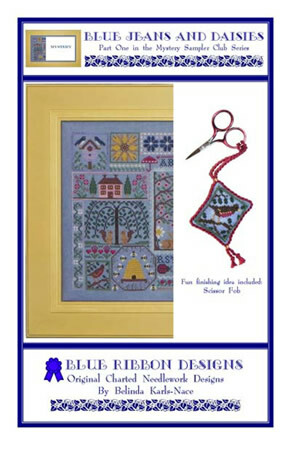 We have charts, thread packs, and 30ct Blue Jeans from Weeks Dye Works ready to ship! 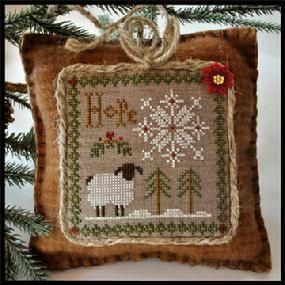 We are busily shipping out all of the Little House Needleworks - Little Sheep Virtues - Hope right now! It has been a super busy week here at Norden! 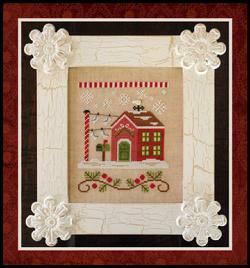 The 3rd installment in the Santa's Village from Country Cottage Needleworks is also shipping out this week! The NORTH POLE POST OFFICE is my favorite so far! I love the letters hanging on the line! Too cute! I have to apologize for not getting a post done sooner. My computer and I have not been getting along, and I have had major computer issues over the last month! Now that my computer is behaving, I promise it'll be better from now on. Oh my goodness! Are these for real? I like your works, honestly. But unfortunately, I love working it on my own. Your works are indeed inspirational. I certainly love that little house design. The color combination is hip and perfect! Hope to see more of your products. Thanks again for the invites!